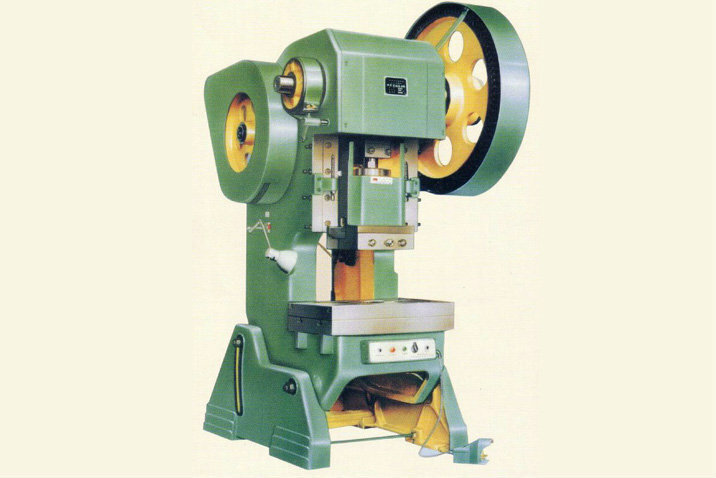 The body of J23 series press is made of high-strength cast iron. The slipper uses V-type guide rail and turnkey rigid clutch . There is a crushing-type protector mounted on the slipper, which may protect the whole machine as it overloads. Operation of electrical equipment is controlled by button or foot switch. The electrical equipment may carry out single and continuous operation. The machine may be altered penumatic operation according to needs of clients. Body of machine may be inclined to a certain angle to let the workpiece slide down by its deadweight at the back of the machine. The machine has the advantage of high versatility, reliable performance and easy operation.